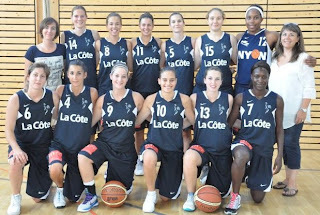 The newest feature on the Hartford Hawks Women’s Basketball Blog returns for its first installment of the 2011-12 season. The Where Are They Now feature will be updated every few weeks with an update from a former member of the Hartford women’s basketball team. Cedric Quackenbush, women’s basketball Director of Operations, will catch up with former Hawks and provide an update on their life after basketball. If you have a question or a possible topic for a future Where Are They Now feature, email athletics@hartford.edu. Beverly played for the Hawks from 2005-2010 and finished her career the only basketball player in Hartford history to amass 1,000 points and 1,000 rebounds. After serving as the Director of Basketball Operations for the Hawks last season and recovering from a torn ACL, the 2005-2006 America East Rookie of the Year and 2009-2010 America East Defensive Player of the Year is now lacing up her sneakers while playing professionally in Switzerland. She started her professional playing career this past summer while playing for the Southern Peninsula Sharks in Australia. For starters, I was very blessed to have started my professional career in Australia. It was a crazy and fast decision to go there but I thank God I was given the opportunity. Playing in Australia was awesome! The culture was very different from the United States. The kind hearted and laid back people of the land were just so welcoming that it made my stay there very easy. My coaches and teammates were the best, they made me fit in. Australia not only gave me confidence but it also got me started on my on-court physical strength since my injury. At the beginning, it wasn’t a pretty sight seeing me play. but as time went on I gained a belief that each day I would get better and see progress. And it happened just like that, with the Grace of God and His guidance, I got through Australia and now I'm here in Switzerland! 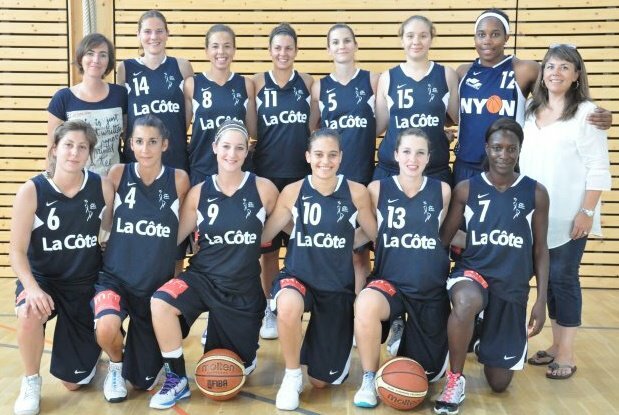 In Switzerland I play on a team called Nyon Basket Feminin and the league I play in is call LNA, basically Division I. I am currently living in Crassier, Switzerland in my own apartment that is a very comfortable living situation. Right outside, I can go pick fresh fruit because the family who lives near has their own farm! My first impressions of the city was, "Wow, this place is beautiful and breath taking from the landscape of it." I have the Alps Mountain all around me and there is miles and miles of open land that most people have turned into farming land. My first impression of my team and coaches were these are some very kind people! They speak such a gorgeous language but I don't understand any of it! I'm interested in the language and will start soon! So far I am really enjoying this country. I can't wait until the season starts on October 8th, it's going to be a great one! Playing professionally has been a dream that I am finally living. I look forward to developing as a player, getting stronger and dominating when its time. Also, to meeting great people, visiting awesome places and developing as a person. So, I look forward to what my journey is becoming and I am forever grateful to be living it.